The Orange County Human Relations Council (more commonly known as OC Human Relations) is a private, non-profit 501(c)3 organization founded in 1991 for the purpose of developing and implementing proactive human relations programs in partnership with schools, corporations, cities, foundations and individuals. 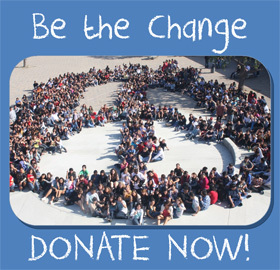 OC Human Relations provides an award-winning inter-group and violence prevention program in the schools, and conflict resolution programs and inter-group relations initiatives in the communities all over Orange County. Supported through grants, donations, fees and contracts, the non-profit is governed by a Board of Directors consisting of diverse community leaders and guided by a Community Partners Advisory Board that is comprised of executives from major corporations and institutions. The Orange County Human Relations Commission, from which OC Human Relations grew, has its webpages on the County of Orange web. You can access them by clicking here.